The first seminar of ISCI’s 2016-17 State Crime Seminar Series was delivered by Professor Philip Marfleet, University of East London. Phil’s multidisciplinary research focuses on the fields of Migration Studies, Refugee Studies and Middle East Studies. Based on his latest book “Egypt: Contested Revolution,” Phil’s talk explored the recent years of political struggle in Egypt, and the complex, changing relations among its principal actors. 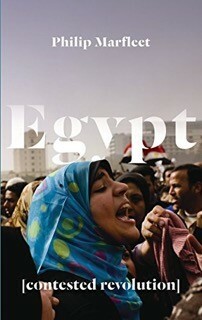 Drawing on the testimony of participants across the political spectrum, the book offers one of the best participant-oriented accounts of Egypt’s struggle published to date.